A combination of competitive pricing, fast delivery times and outstanding service has seen Asset Alliance Group win a new supply contract with container haulage experts, Cardiff Container Link. 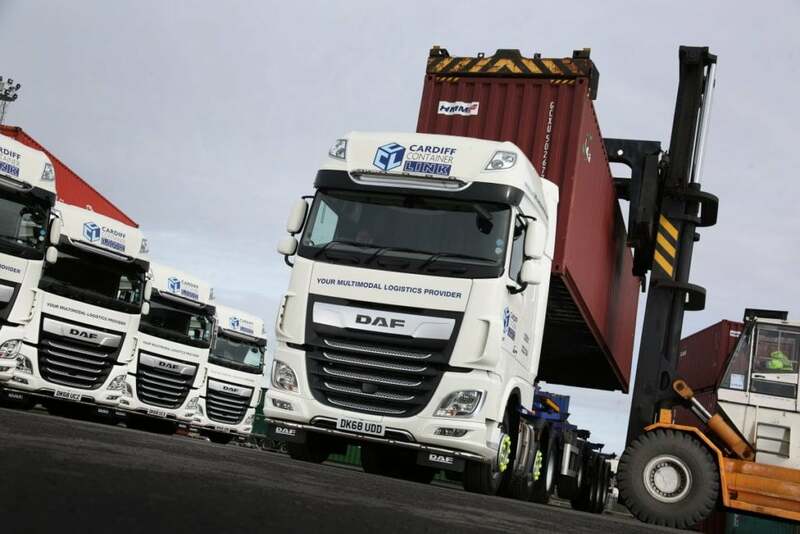 The deal, to supply five new DAF XF 530 tractors on a two-year, full maintenance contract hire basis, was part of a tender issued by Cardiff Container Link – a business that moves up to 400 containers each week to all major ports in the UK. Asset Alliance Group beat four competitors to secure the initial work, which is set to extend given the team’s impressive performance in the early stages. Procurement, Transport and Compliance Manager for Cardiff Container Link, Brian Nicholls, says: “Asset Alliance Group put together the most competitive deal with the fastest turnaround and the sales team bent over backwards to help us in every way, even ensuring light bars and livery were added to the units just before delivery when our usual supplier let us down. “Within 24 hours of signing the paperwork, we had delivery dates for the new units and now they are in service, customers have already commented on how smart they are. The five new vehicles take Cardiff Container Link’s total fleet to 13 – all DAF tractors, chosen for fuel economy and comfort. We will be attending @TheCVShow at the NEC in Birmingham on 30th April - 2nd May giving out our 2019 Industry Monitor Reports. Pop along to our stand 5D90 to pick one up or to speak to a member of our team! News: Pearson aims to “keep the pressure on”. @SRC_Rally front-runner Garry Pearson will be aiming to start this weekends @speysidestages where he left off at the @BorderRally, keeping his title hopes alive. Spotted in @Comm_Motor is our MD of Contract Hire & Leasing, Dave Potter, talking all things finance and leasing in the road transport industry!